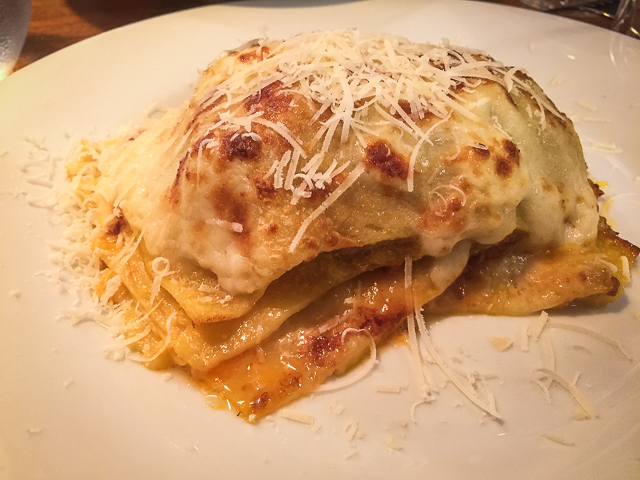 Pasta Fresca, Prague | Should We Go There? So let’s say you’re visiting Prague and you just can’t bear the thought of eating one more dinner of (great) Czech food. 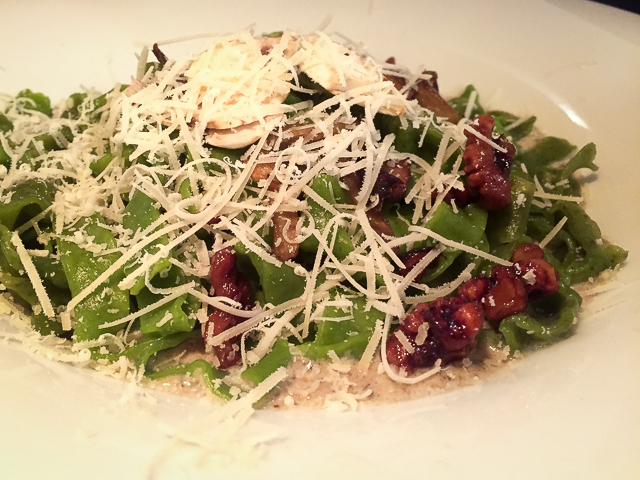 Are you in the mood for Italian? In Prague? Yes, in Prague and I know just the place. It’s called Pasta Fresca. The restaurant was a short walk from our hotel but well worth it. By the way, this was another recommendation we got from our “Taste of Prague” host. We walked in and were greeted by the hostess who immediately asked if we had a reservation. See a pattern here? Check out the Pizza Nuova post. We of course say no because we didn’t have the foresight to plan ahead. So we played the last night in Prague card, the recommended by our tour guide card, and the we heard you were the best card. But I think the deciding factor was that we told her we went to Pizza Nuova the day before. As it turns out, the pizza restaurant is one of their sister restaurants, so we were invited to wait for a table. We only had to wait about 10 minutes before we were seated. I had the lasagna, my wife and one of our friends had the pesto pasta, and our other friend had spaghetti with tomato sauce. Of course we shared bites, and I must admit, all of the dishes were very good. We all had Czech wine that was also very nice and discovered that most of their wines are not exported. I guess the Czech’s don’t produce a great quantity of wine and are proud of the fact that they drink what they make. We heard this more than once but I won’t believe it until I see it on the Internet. Then, I’ll know it’s true…. right? 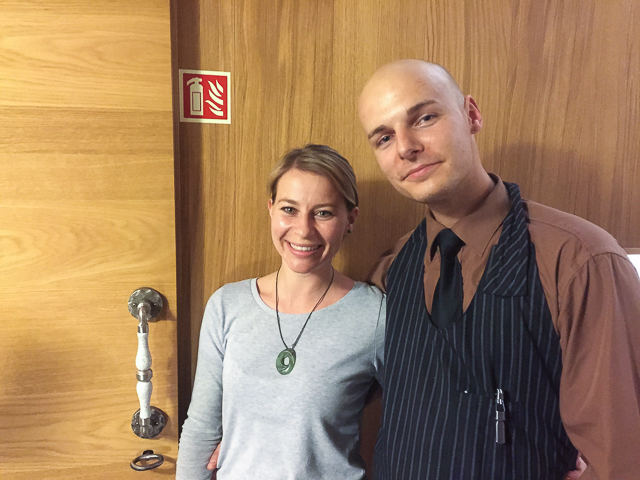 The staff was very friendly and spoke excellent english. The service was great and the prices were.. well…. “Prague prices”. Which translates to (in case you didn’t read my previous post) inexpensive and a good value. I took a few shots as you can see below and have included some additional information at the end of the post. Enjoy.